I've been on a roll for the last couple week. The trend continued as I played 7 different lineups across multiple different GPP tournaments and a couple triple plays. The key to winning in week 10 was this, I locked a top tier TE, QB, RB and if possible stacked the QB with his top WR. The results speak for themselves. Get A Free Trial of Our Optimal Lineup Tool, click here. Check out our other optimal lineups, value picks and stacks. 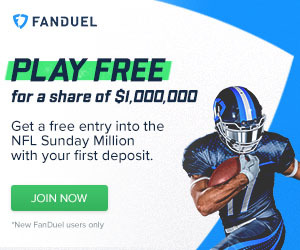 We're pushing Yahoo Daily Fantasy Sports a lot due to the overlay as they're still pretty new. We also put a lot of effort into DraftKings and Fanduel value picks and stacks.